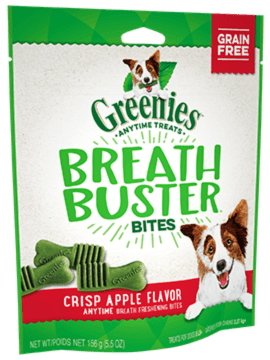 Eliminate bad doggie breath on demand with GREENIES™ BREATH BUSTER™ Bites Crisp Apple Flavor Treats for Dogs. 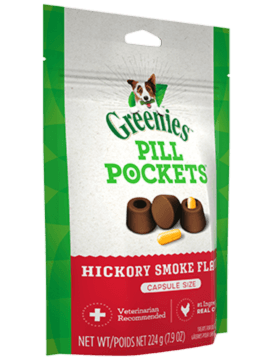 Made with a patented breath-freshening ingredient system, these bite-size dog treats are 15 kcal per treat for frequent treating. 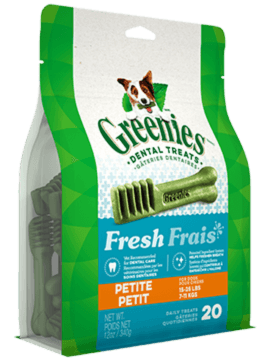 That means both you and your dog can enjoy the benefits of fresher breath more often. 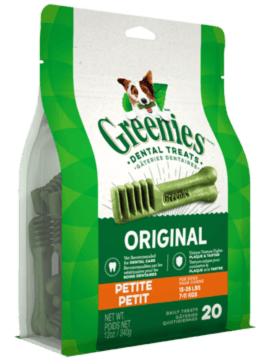 Your dog will love the delicious apple flavor of GREENIES™ BREATH BUSTER™ Bites, and you will like that these grain-free dog treats are made with easy-to-digest ingredients. 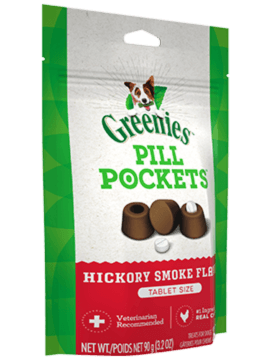 For when your dog's licks are less than lovable, give them a new level of kissable confidence with this dog-friendly breath mint.